Green Dental of Alexandria is pleased to provide top quality dental crowns and bridges to the residents of Alexandria, Arlington, Falls Church and the surrounding areas. We are a comprehensive, family dental practice serving children and adults of all ages with comrpehensive general, restorative and cosmetic dentistry. Our dentist, Dr. Hye Y. Park, is a talented restorative and cosmetic dentist with extensive experiencing placing crowns and bridges. If you need a porcelain crown or bridge to restore or replace one or more of your teeth, call our office today to schedule a consultation with Dr. Park. Porcelain Crowns can be used to restore and add strength to teeth that have been weakened due to trauma, infection, decay or repeated dental procedures. Our porcelain crowns are made of the highest quality materials and can be closely matched to the color of your surrounding teeth for a more natural appearance. 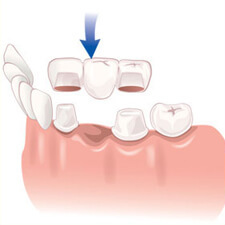 Dental bridges are dental restorations that can be used to replace one or several missing teeth. Our porcelain bridges are also constructed of the highest quality materials, are natural in appearance and are made to last. At Green Dental of Alexandria, our first priorities are patient safety, patient care and protecting the environment. 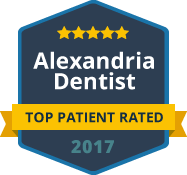 Using the best and safest materials the industry has to offer, the most advanced dental technology and eco-friendly systems, we deliver top quality, green dental care to professionals and families throughout Alexandria and the surrounding areas. If you are in need of a dental crown or bridge, please contact our Alexandria Crowns and Bridges Specialists today to schedule an appointment. For your convenience, our family dental practice accepts many dental insurance plans as well as cash, checks and credit card payments. We also offer flexible financing and in-house payment plans. To accommodate our busy parents and working professionals, we offer extended hours as well as Saturday appointments. We look forward to restoring your smile.